The e-learning module is freely available via the Wound Care Today website (https://www.woundcare-today.com/learning-zone/pressure-area-care/details). It is ideally suited to anyone with an interest in pressure ulcer prevention and management, and is perfect for clinical staff who want to learn more about delivering safe, effective patient care and how to reduce the risk of this key avoidable harm. As the official PAC category partner for WCT, Talley are delighted that both the e-learning module and the associated PAC e-learning snap-shot article contribute CPD points and count towards revalidation for nursing staff within the UK. 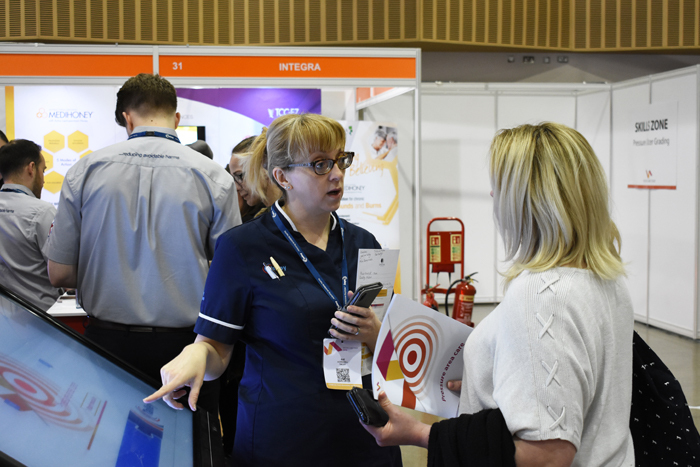 In addition to discussing the updated PAC education module at the WCT2019 conference in Milton Keynes last month we had an amazing time talking to hundreds of lovely delegates during the two day educational event. Our exhibition stand was a hive of activity with product demonstrations, interactive touchscreens, informative on-stand presentations, and our unique buzzwire challenge. We also had Sue, our resident TVN, on stand to tackle any and every question from delegates around pressure area care support surfaces and negative pressure would therapy. We had a truly brilliant time at WCT2019 and now we have caught our breath, we are already looking forward to next year’s conference! We look forward to seeing you at the EBME show next month where will be showcasing some new information which details just how gentle our TECcare CONTROL products are when used on mattress cover material. The WCT2019 conference was a huge success for Talley and we are delighted to be working with Wound Care Today throughout the remainder of 2019 to support their drive to offer world class, independent, free to access education to clinical staff.